My name is Cait and I see a therapist. That's right. Believe it or not, this super woman doesn't have everything under control all the time. And you're probably wondering why I see a therapist. There are a few reasons. When I first moved down to Atlanta almost a year ago, I didn't know anyone. I'd get awful attacks, which I'm finding out were panic attacks, because I was isolated with 4 months with no job, no family members around me and no friends. It was hard and a pretty low point in my life of trying to make it in an area where I didn't know a single person, besides my husband and daughter. Fast forward a few months and I had a great job but we had found our dream home, our offer was accepted and we were going to move in TWO weeks. It was crazy, stressful and on top of that, work was busy too. I had a few meltdowns, got into big arguments with Zach and just felt lost. I didn't know how to control my emotions or express them in a way that wasn't hurtful due to all the stress and anxiety I was feeling. After a long talk, I knew I needed to talk to a professional and you know what, I was terrified because I felt like a failure as a Mom, friend, sister and daughter that I couldn't handle how to operate my own emotions. But here's the best part. My therapist isn't my friend. She doesn't know my friends, family members or past life. She just listens. She listens to my complaints, concerns and helps me confront my emotions. There are times where I'm upset about a situation and after discussing it with her, I realize the issue wasn't at all what I was thinking. She helps me focus on the bigger picture, the individual tress in the forest of emotions. It's been about 4 months and my relationship with Zach, daughter, friends and family have taken a huge turn for the better. Coloring has always helped me destress when I start to feel anxious as well. Seriously, these adult coloring books are my jam. So why am I telling you this? So many of you were so kind and helpful when I shared my panic attack post a few weeks ago and I want to say that if you're pondering to see someone about a situation, do it. You shouldn't be embarrassed that you don't have it all together. Are you stressed with your toddler? Worried about a friendship or close relationship? Concerned about a life event? Admitting weakness is you're greatest strength. I can't promise you'll have it figured out today, but you'll work towards gaining the tools to help you work through to the life you're meant to lead. PS- Don't forget about the Stella And Dot Giveaway going on now! So proud of you!!!!!!!! Keep up the amazing work! I've seen a therapist a different times in my life when I needed someone who wasn't "a friend" to listen to me and possibly offer guidance/advice. I totally believe in therapy and commend you for seeking help when you needed it! 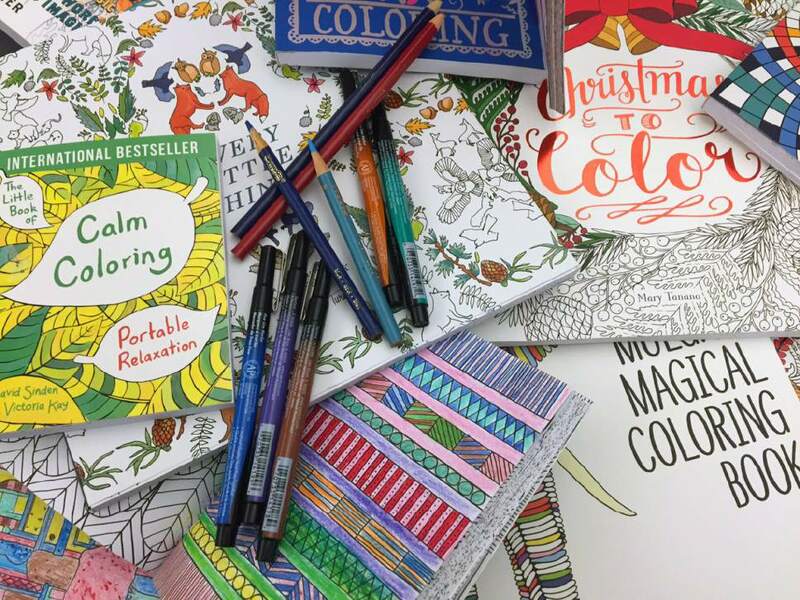 And I love adult coloring books but unfortunately I don't have the patience hahaha! Yes! I think the entire world would be so much more at peace and happier if everyone saw a therapist. Life is hard. Situations are hard. It helps so much to get a fresh perspective. Btw- I have a counseling degree, and LOVED each and every one of my classes. You better believe I try to practice what I've learned. Love this. I have panic attacks and anxiety as well. I've started and drafted many posts about my issues. I need to try coloring books. I've heard so much about them and should just go ahead and treat myself. I've considered seeing a therapist. I 100% believe that it can help anyone. Keep doing your thing girl, sounds like you're in a great place now! DONT EVER FEEL LIKE A FAILURE! You have a lot on your plate and are doing a fabulous job balancing it all! Having a therapist isn't a bad thing at all! I used to have one and honestly could probably benefit from going back to one. There is nothing wrong with seeing a therapist. I used to see one every week. It was good to vent, talk things out and just have someone to talk to that you didn't know. I just wish I could have kept going (she wasn't covered by my insurance anymore). I would love to go back to another. There is no shame in seeing a therapist. Great post. I love adult coloring books, I find them so relaxing. Good for you, girl! I think it's so admirable when someone realizes they could benefit from talking to someone and then DOES it! Love your honesty and openness, Cait. 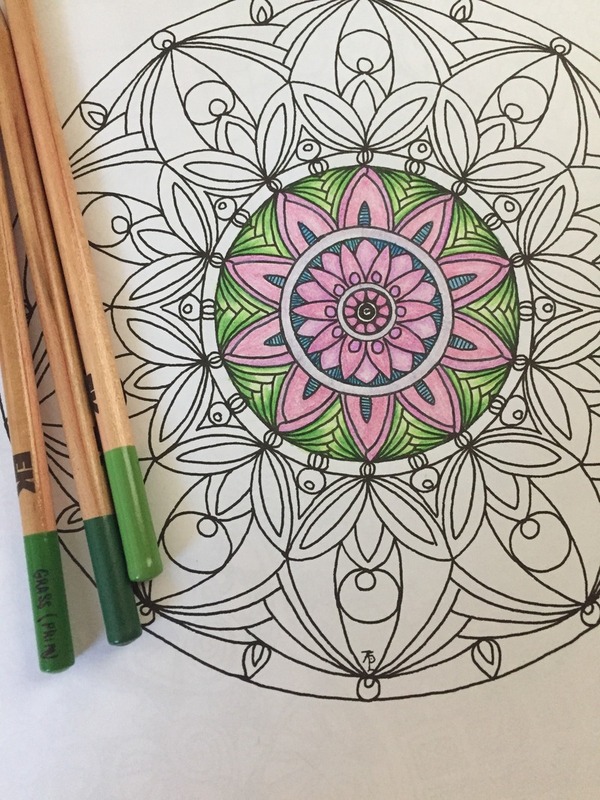 I've recently discovered coloring books for grown ups too, and they really are a great way to de-stress! Thank you for sharing. I absolutely love your honest and transparent post girl. I think sharing things with a person that doesn't have a pre conceived notion of your life and the people around you can be a tremendous help. I so appreciate this real post! After much discussion between my wife and I, it was decided that I should see a therapist as well. It was hard for me because of a certain stigma that men aren't supposed to "open up" about their issues. Thankfully, I was able to defy this ridiculous stereotype, and my personal life has benefited tremendously from it.